Use these recipes to feed your overnight holiday guests. 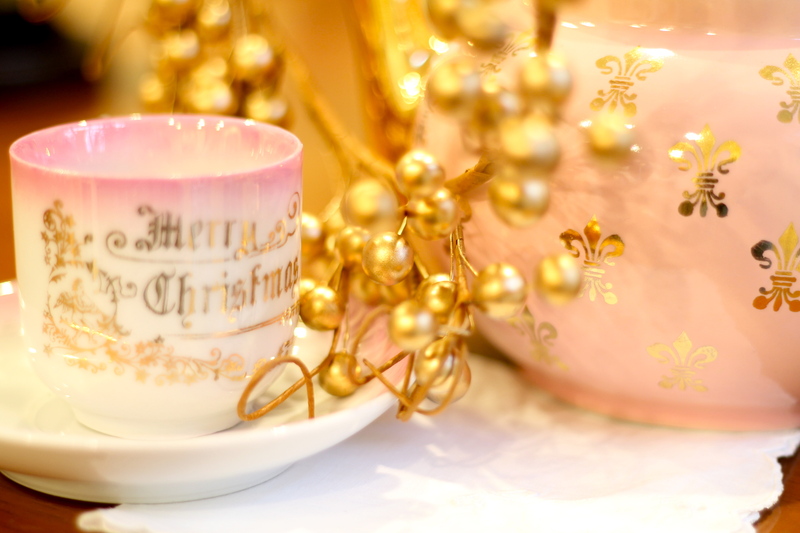 With just one week to go before we all celebrate Thanksgiving, I know you are scrambling to get everything done. If you are having out of town guests, then you have even more preparations to make. We thought it might be nice to give you a little help with your food prep today. 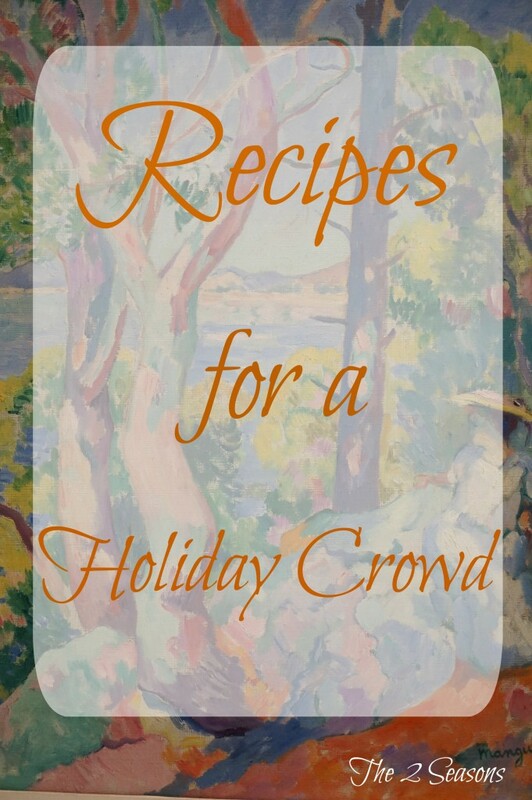 We have compiled some of our recipes that we think are real crowd pleasers. Some can be made ahead and frozen, some are easy, and one is a slow cooker meal. We hope you find one or two that will simplify your menu planning a little bit. If we have out of town guests for Thanksgiving, I always serve soups for the Wednesday evening meal. They are easy to make, and they can simmer on the stove or in the slow cooker while you are doing something else. 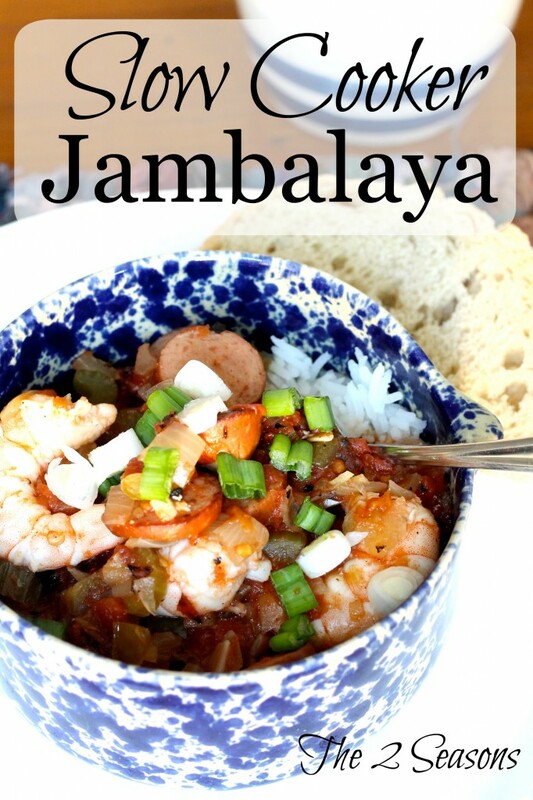 This jambalaya recipe is a crowd pleaser in addtion to being a meal you can prep early in the day. You can’t get any easier than a two ingredient soup. 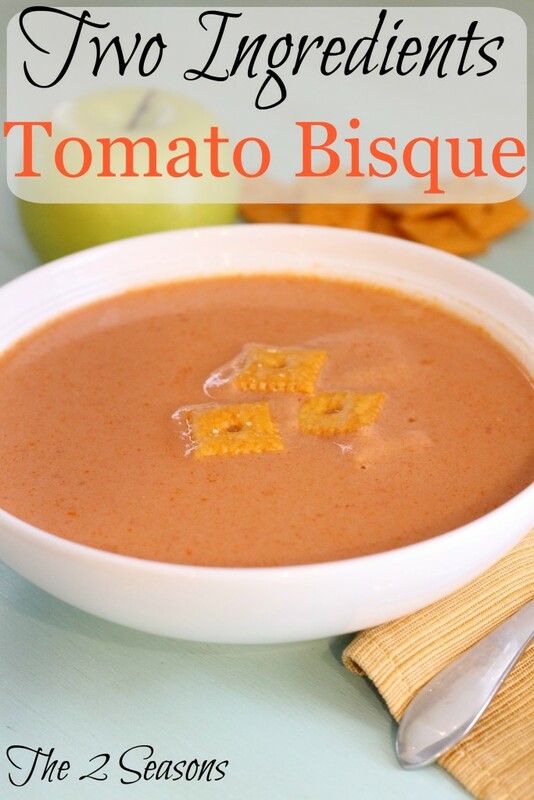 I could eat this tomato bisque every day. Serve it with a cheese platter and some fancy crackers, and you have yourself a meal. Now, let’s turn our thoughts to breakfast food. If you are scurrying around in the kitchen to prepare a feast, I know you really don’t want to stop and cook breakfast. 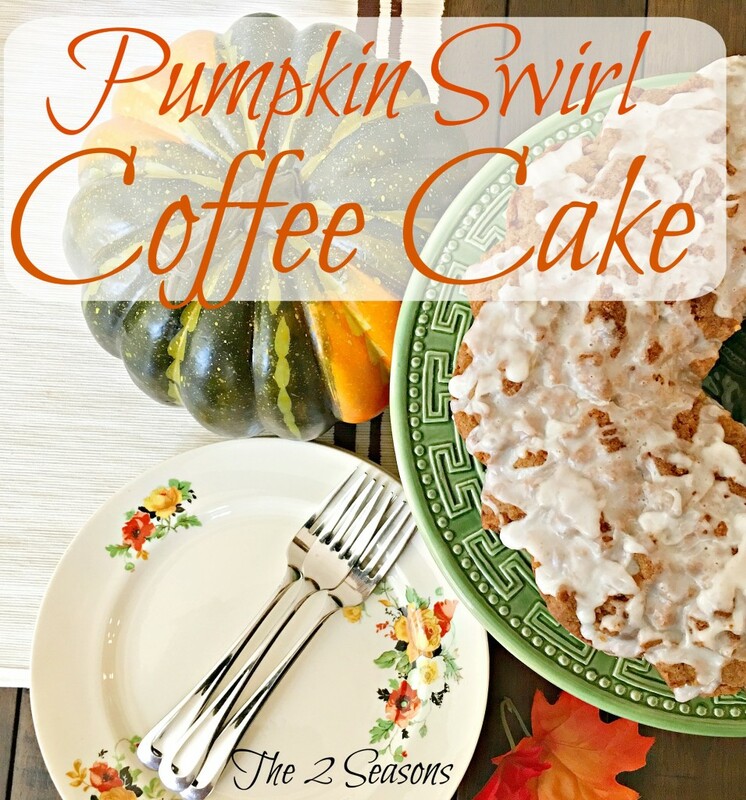 That’s where this delicious pumpkin swirl coffee cake comes into action. Bake it ahead of time and freeze it. Then pull it out of the freezer on Wednesday evening. Put it on a table or counter along with some plates, napkins and forks. When you get up Thursday morning, all you have to do is make coffee, put out some juice, and heat water for tea. Breakfast is made. 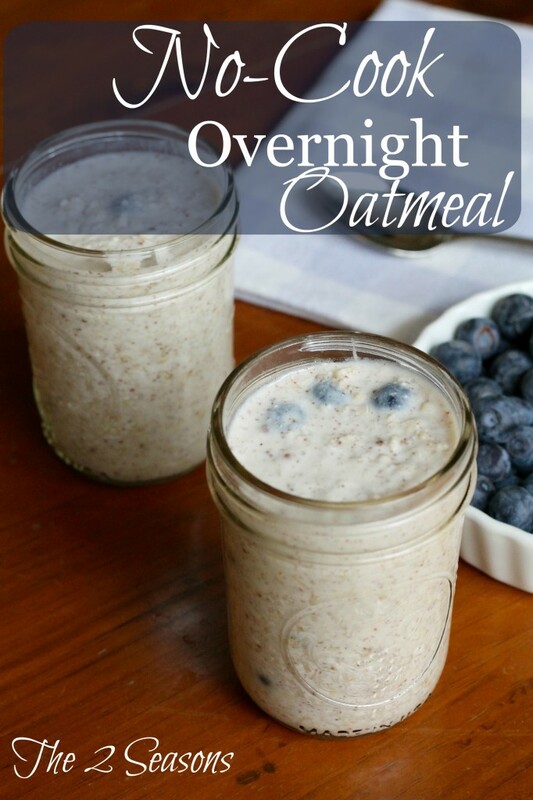 If there are some healthy eaters among the group who really don’t want coffee cake, then make some no-cook oatmeal the night before and put it in the fridge. It will be ready when you get up the next morning. If you are having a late afternoon meal and not serving lunch, then people might need a little food to hold them over. 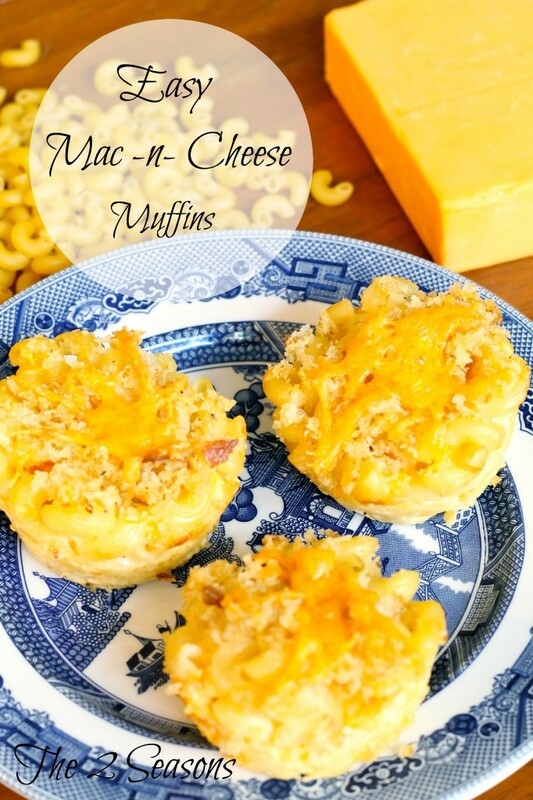 These macaroni and cheese muffins can be made ahead of time and popped in the microwave right before they are eaten. Children especially will love them. They can hold the muffins in their tiny hands and munch away. Here’s another food that can be made ahead of time and frozen. 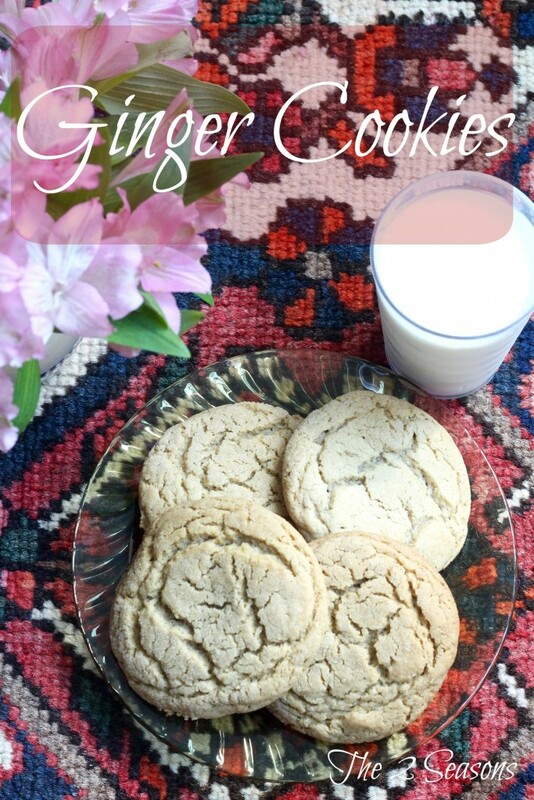 Then if someone wants a cookie or you want to serve something sweet in the evening after the meal has settled, pull out these ginger cookies. 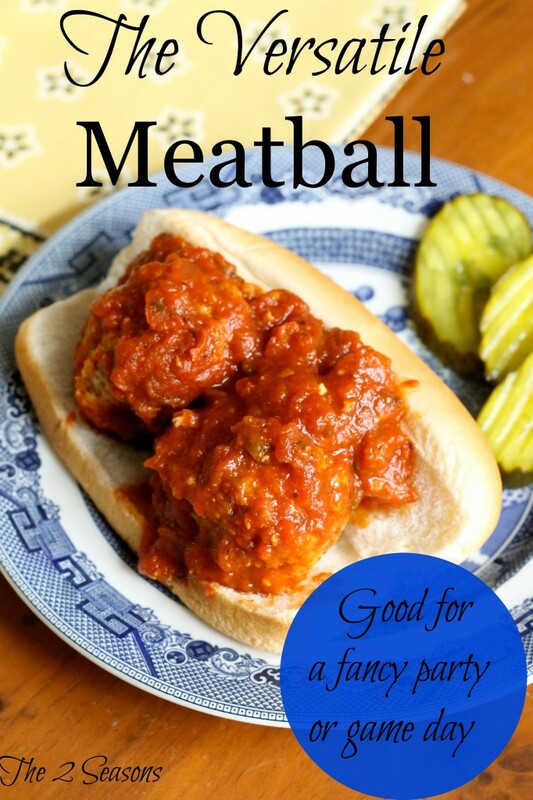 I am recommending this meatball recipe just because. First of all, they are delicious. They can be made ahead of time and frozen. You can serve meatballs along with cocktails for happy hour, serve them over pasta, or make a hearty sandwich. I call them versatile because they are. And here’s the last one. If you go out for a late afternoon walk or spend Black Friday shopping, then it might be fun to have some hot chocolate afterwards. 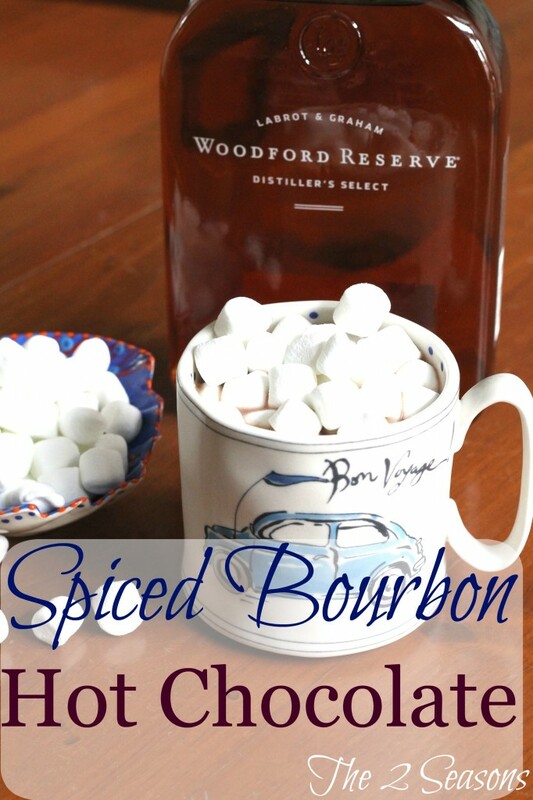 The children can have the plain stuff, but you can make spiced bourbon hot chocolate for the adults. How did we do? Did you find a recipe or two that you can use? We sure hope you have a wonderful Thanksgiving and want to thank you all for being part of our world. Happy cooking!